Where to eat in Helsinki to savour the best of Finnish flavours? What are the unmissable dishes to taste in Helsinki and where they can be found? 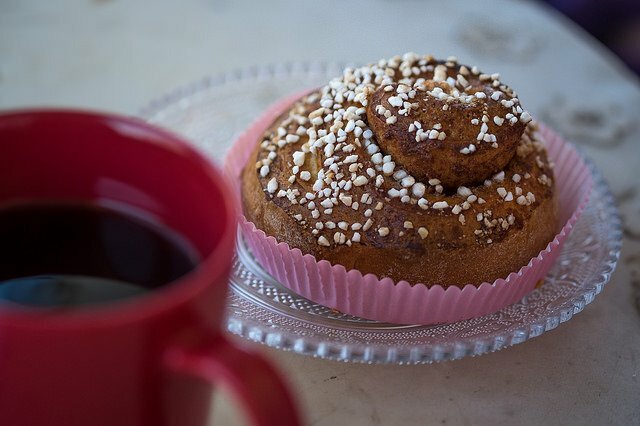 In this food guide, written after our many trips to Finland and Helsinki, we suggest places to eat: from the cheapest to the most expensive, without forgetting coffee and bars where you can indulge in the ritual of Finnish coffee. 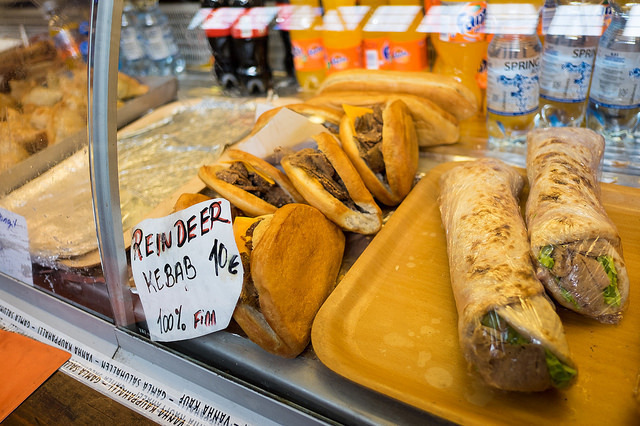 Helsinki, like many of the Northern Capitals, is one of the most interesting cities in terms of food. Next to starred restaurants there is a lot of street food but in all cases the main ingredients are always very local and seasonal and this is the main element of all Finnish cuisine: a special attention to everything that is produced in the country, with incursions in other cultures but always maintaining national identity. 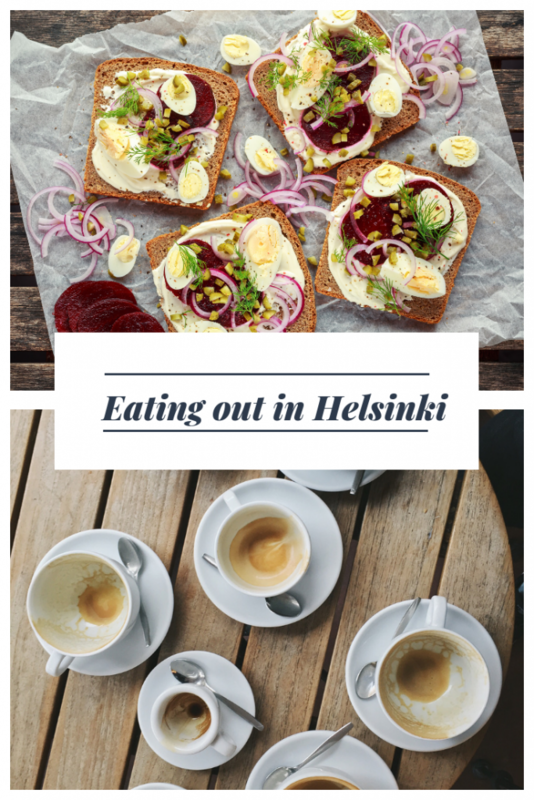 Eating in Helsinki is therefore not only an experience but it is also quite simple. You can find different types of food, for all needs, and despite the prices are slightly higher there are also opportunities to save money without having to starve. You can eat cheap in Helsinki where the word cheap means at least 10-12 euro per dish and no claims in terms of location. These are my choices for eating cheap in Helsinki. The daily market where you can find benches that sell, at prices lower than normal, food to eat on site or to take away. Be sure to try the muikut (fried fish), the salmon and the famous pannukakku, crepes stuffed with cream and fruit. Hakaniemi Market Hall is close to Market Square and it is open every day; inside are both Finnish food stuffs and food from abroad; even if it is a market, prices are not exactly market, but they are slightly higher and the number of tourists is quite high. The mobile trucks that cook and serve street food are very famous in Helsinki, which was elected Capital of the street food a few years ago. Around there are many different types and many, for example that of Richard McCormick, are supporting the activities of the restaurants but allow you to spend much less than the classic restaurant. I suggest trying Scandinavian Street Kitchen to sample Finnish dishes without spending a fortune. Off the beaten track, the industrial area of Teurastamo now hosts a market, several restaurants and also offers the opportunity to take advantage of free bbq where to grill meat, vegetables and sit back to sunbathe. A gourmet supermarket where you shop but you also eat since you can buy salads and ready meals. A real institution in Helsinki, slightly more expensive than the other options but if you’re looking for good food and you do not want to spend too much this is a solution to take into consideration. One daily choice, usually salmon soup, and various fish sandwiches and salads at the FishMarket inside the Stockmann department store, where you eat really well and at really competitive prices by calculating your position. Free refill on filtered coffee. There are still a lot of typical restaurants in Helsinki, where you can eat real, traditional Finnish cuisine made up of a few (but good) ingredients. 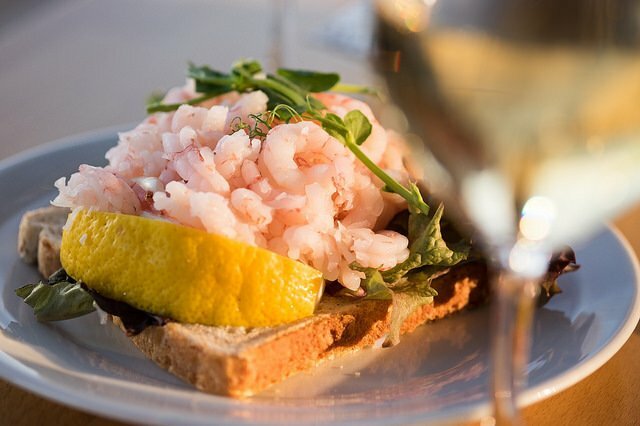 This is a selection of typical “ravintola” (restaurants) to try in the city. A real traditional restaurant where frivolities are not allowed and the menu is all about good Finnish products. Try the meatballs with mashed potatoes but also the salmon soup, a specialty of the house. A typical restaurant open since 1940 where you eat only traditional Finnish food and where the portions are very generous in the face of acceptable prices. It is considered the most famous and authentic Russian restaurant in Helsinki and it is here that you can eat really Russian dishes at reasonable prices. To try the chicken Kiev. Ravintola No. 11 offers old-fashioned Finnish food in an old-style place where food is the center of attention. Expect excellent butter used in excessive doses. Helsinki is full of trendy restaurants, where traditional cuisine blends with modernity and where Middle Eastern inspirations dominate. Listing all the restaurants to try in Helsinki is impossible but these are among the best and those that go the most. Prices are quite high. The brainchild of chef traveler Richard McCormick, Sandro is located in one of Helsinki’s trendiest areas, Kallio, and offers modern African cuisine with vegetarian options. To try absolutely saffron bread, the specialty of the house. A restaurant that offers revisited Finnish cuisine in which minimalism is everything, both in food and in furnishings. Prices are not absolutely low but the experience is worth the expense. A trendy venue in Helsinki offering the so-called sapas, the classic Finnish tapas. You can choose the 3 or 5 sapas menu or the a la carte selection. A restaurant that revisits the Finnish and Scandinavian tradition in the name of minimalism and the most authentic seasonal products. It is possible to choose the à la carte menu or the 3-course house menu. Only and exclusively Lappish food that makes this place the ideal place for an all-round culinary excursion in the most remote Finland. Needless to say: the reindeer with potatoes is the must of this place but there are, in some periods, the bear and elk meat. Anthony Bourdain has also dined here so prices are quite high. The most famous Michelin star in Helsinki, Chef & Sommelier is a real (but also expensive!) gastronomic experience with its menus of 3, 4, 5, 7 or 9 courses prepared with local and seasonal products and coupled with wine. Seasonal and strictly Finnish products, studied and refined dishes. Not too formal environment, high prices, 1 Michelin star. A restaurant in the middle of a lake that in winter becomes frozen and extremely suggestive. The kitchen is a mix between Russia and Finland, the dishes are quite abundant and very tasty. A slightly formal environment, medium-high prices. Hidden from traditional tourist routes, Nokka is truly a 100% local place. 100% Finnish food and you can choose between a la carte menu or dinner. A slightly formal environment, medium-high prices. A small restaurant with a restricted menu and inspired by the flavors of Finland and Sweden. You can order à la carte or choose the 3-course menu. Informal environment, medium-high prices. The consumption of coffee in Helsinki is very high, the culture of coffee is very widespread and the number of cafes in the city is so high that it is impossible to trace them all. The Finnish coffee is filtered, lighter than the espresso and even the American we know, but the local roasters produce so many types that they are able to satisfy all tastes. This is a small selection of Helsinki cafes to try. In the Helsinki Market Hall, Story offers traditional and artisanal food and desserts, but above all a very special coffee that is only found here and that can make you forget your coffee for a few hours. A fantastic location overlooking the Baltic Sea and the possibility to sit both indoors and outdoors. Great Sunday brunch and absolutely to taste the open sandwiches. Fazer is Helsinki’s most famous pastry shop and its Café offers savoury dishes and lots of leavened desserts including cinnamon rolls. To taste the licorice ice cream, one of the local specialties. At the entrance to Lauttasaari, one of Helsinki’s most picturesque areas, Mutteri Kahvila stands out for its particular architecture, old style, the few tables inside and an incredible number of desserts and sandwiches, all of excellent quality. Unmissable coffee, at all hours of the day. Alcohol in Helsinki, as in all Northern capitals, costs a lot but if the day allows it to sit outside and drink a beer is an experience to do especially if the beer is local. For you the selection of some bars / pubs to try in Helsinki reminding you that in Finland there is still a monopoly of alcohol that can therefore be bought only in special shops or consumed in approved premises. Located in one of the less touristic areas of Helsinki, Cargo is a double place: on the lower level, open all year round, the vegetarian and vegan coffee shop/restaurant, while on the upper floor, in the open, there is a pub. The industrial and minimalist location is spectacular. A pub frequented only by locals where craft beers from all over the world can be enjoyed. Particularly popular on Friday nights, it is still a corner of Helsinki that remains relaxing and relaxed even when there are so many people. A very trendy place in Kallio, Sivukirjasto offers a huge selection of beers but also other types of alcohol, mainly local except for wine. Craft brewery and restaurant, Bruuveri is known because the production takes place on site and therefore much loved by the locals.